• German manufacturing PMI plunges to a 32-month low, composite output index at 47-month lows. • Euro-zone manufacturing/services PMI does little to lend any support to the Euro. After an initial uptick to 1.1420 region, the EUR/USD pair met with some aggressive supply and tumbled to the lower end of its weekly trading range. 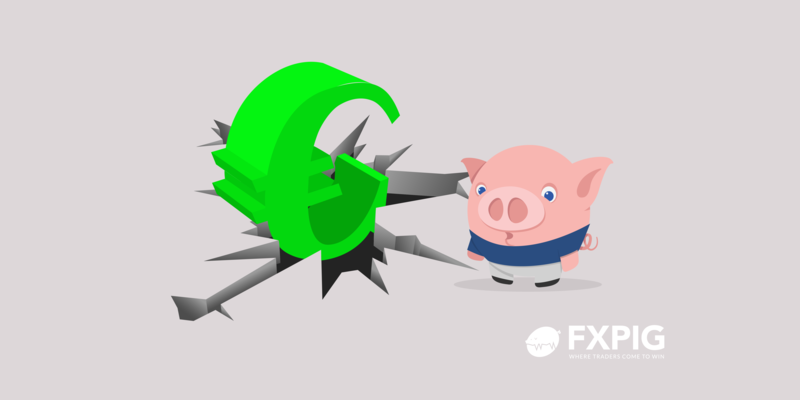 The shared currency's sudden collapse of over 50-pips during the early European session coincided with the disappointing release of German flash manufacturing PMI, which plunged to a 32-month low level of 51.6 in Nov. Adding to this, the flash German Composite Output Index hit a 47-month low level of 52.2 in Nov., down from Oct.'s 53.4 and pointed to a sustained loss of underlying growth momentum in the Euro-zone's largest economy. The selling pressure remained unabated after another disappointment from the flash Euro-zone manufacturing/services PMI prints, falling to 51.5 (30-month low) and 53.1 (47-month low) in Nov. from previous month's 52.0 and 53.7 respectively. Despite the latest leg of downfall, the pair remains within a broader trading range held over the past three trading session and seemed to find some support from narrowing Italy-German bond yield spread, which temporarily dipped below 300 basis points this Friday. A follow-through selling has the potential to drag the pair towards the 1.1310-1.1300 support area, below which the downfall could further get extended back towards YTD lows, around the 1.1215 region. On the flip side, the 1.1400 handle now becomes immediate resistance and is followed by the 1.1425-35 heavy supply zone, which if cleared might prompt a short-covering move towards the key 1.1500 psychological mark.